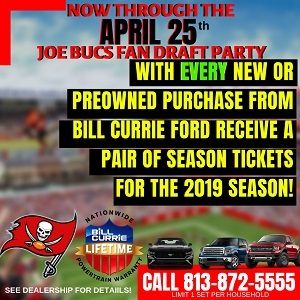 Saints-clubbing and much more is on the mind of the Sage of Tampa Bay sports, Tampa Bay’s only Hall of Fame voter. 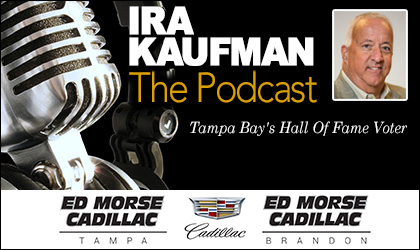 The Ira Kaufman Podcast is always a fast-moving, fun and informative time, and it’s presented by Ed Morse Cadillac Tampa and Ed Morse Cadillac Brandon. Click play above or tune in at iTunes, Google Play or Podbean.com. (and you can often find it on the Google Play podcast “Top Charts” ALL genres.) Stay informed, thinking and smiling every single Tuesday & Thursday — and there is NO offseason. Click or download above. Listening to “The Sage” is fun, free and easy. Enjoy! Hahaha Thanks for the shout out! Next time we chat I’ll bring a tray of Irish Car Bombs! Also, I can’t have a Seinfeld Big Salad situation, it was Dr Wenk who supplied The Sage with bottles of reisling, I tried but Manning’s doesn’t stock it. How were they not prepared for The Sage? !